Have you found the perfect rug for your home? Great! 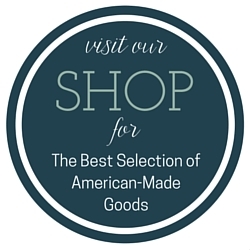 (If not, check out our gorgeous styles at The Stated Home.) But now you have to decide what size rug to choose. That can be a little harder to figure out, so we put together some guidelines to help. We aren’t saying you absolutely have to stick to these decorating rules, but they’ll give you a good place to start. Ask yourself what you want the rug to accomplish. Are you trying to unify a space or do you want to define a few smaller areas within a larger room? See if the room is next to an open space. If so, how will it look if the rug extends into that open area versus fitting within the confines of the room? 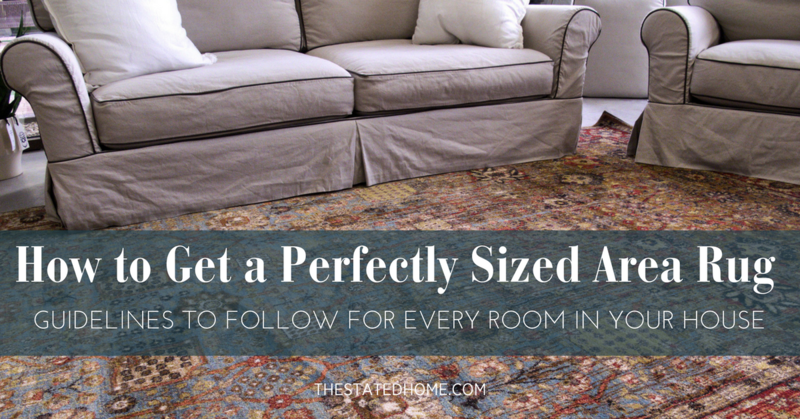 Visualize what different sized rugs will look like in your space. Just lay down a sheet (or two) that are folded to be the same size as the rug that you are considering—this will give you a pretty good idea of how a rug will fit in the room. You can also try painter’s tape or brown paper. Conventional wisdom says a larger rug will make your room seem bigger, but how close to the wall can you go? This is actually open to debate. The classic rule is to leave 18 inches of bare floor, but that’s less crucial for open concept spaces or rooms that are super small. For a more modern look, use a rug that reaches almost to the wall, leaving only a few inches of exposed wood. Avoid the “floating island” look by making sure that at least the front legs of your furniture pieces are on the rug. 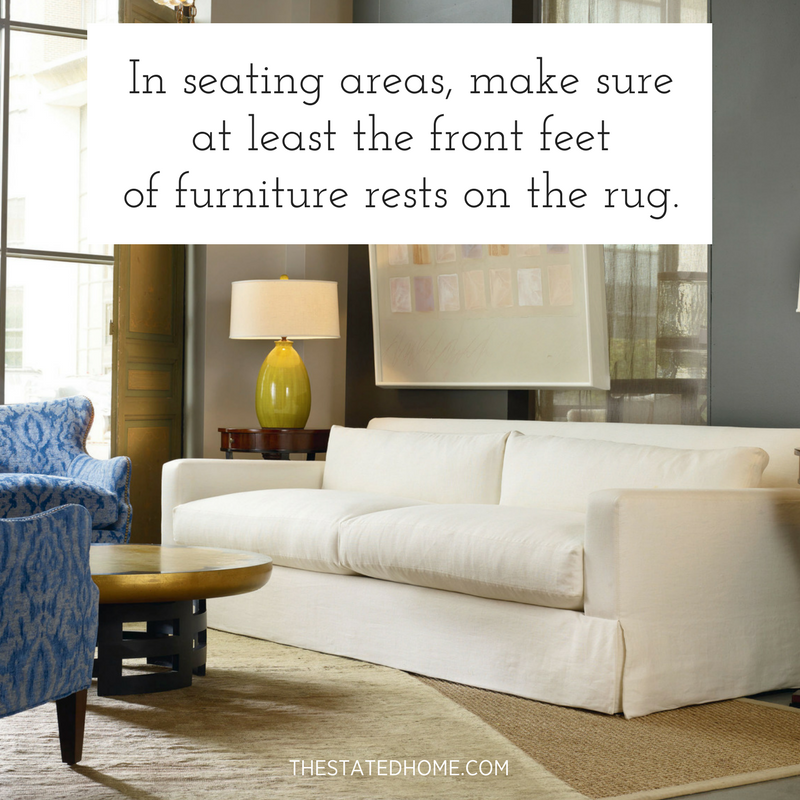 If your rug is big enough to accommodate all of the sofa and chair legs, the room will look even more pulled together. You can do a hybrid too, say by putting the sofa’s front legs on the rug along with all four of your chairs’ legs. 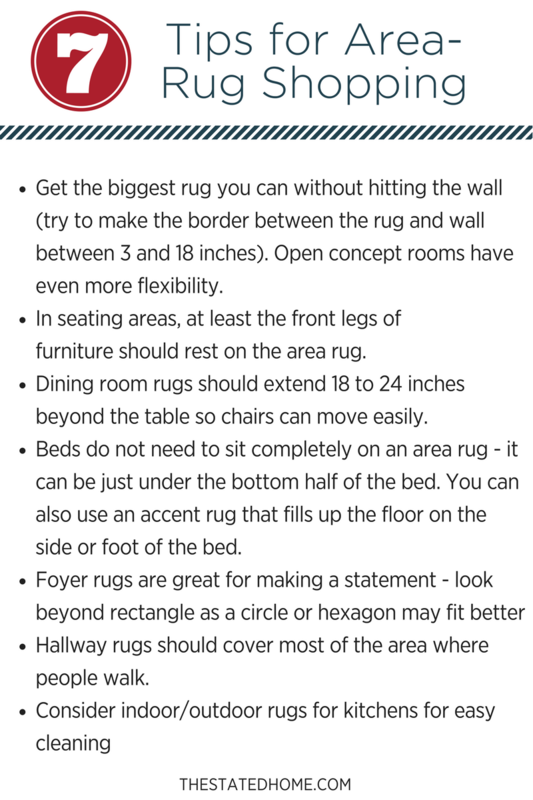 If you have a great room and you’re using multiple rugs to define more than one area, don’t get matching ones. Instead, choose rugs with something in common, like a similar color palette or pattern. If your dining table is round, consider using a round rug. Whether rectangular or round, the rug should extend at least 18 to 24 inches from the edge of the table on all sides. This ensures the back legs of the chairs remain on the rug when being used. Test this by pulling out your dining chairs as though you were going to sit down, and then measuring how far out the back legs go. That’s the minimum size you’d want, even if the rug goes almost completely to the wall. Your bed does not need to completely sit on the rug. One popular look is to only have the rug under the bottom half of the bed, stopping before you reach your bedside tables. Just make sure that it is up enough so that you step onto it when you get out of bed (you want your toes to stay warm!). As for the sides, it should extend out at least 12 inches for a twin or full size bed and at least 18 inches for a queen or king. Any less and the rug will seem too small. For smaller bedrooms, you might just want to get an accent rug—maybe one on either side of the bed or one at the foot. Choose sizes that are in proportion to the room and the bed (for example, a rug at the foot should be wider than the bed itself). You don’t want it to look like you’ve sprinkled bathmats around the floor! The foyer is your chance to give guests a great first impression. Give this space a rug that has presence. Maybe a round or octagonal rug could work better than a rectangle. For safety and comfort, the rug should cover most of the area where people walk. You’ll want both feet on the rug when you walk down the hall. The average runner is 8 feet long. For a very long hall, use multiple runners with 6 inches or so between them. An area rug can add style and comfort to a kitchen. And it doesn’t have to be a “kitchen rug.” A smaller rug or runner in front of the sink can cushion your feet or a round rug in the center of a large kitchen can make a statement. If you’re concerned about keeping it clean, consider an indoor-outdoor rug that can be rinsed off. You can’t even tell the difference between lots of the outdoor rugs sold today and indoor-only versions. If you find an area rug that’s perfect but you need it to be between two of the available sizes, buy the bigger size and have it cut down and bound. Just search online for “rug binding” to find a company in your area that offers this service. Carpet on a roll can be cut and bound to fit nearly any space. Standard widths are 12 feet, 15 feet, and 13 feet 6 inches, and lengths can be as great as you need. While not every carpet is available in all widths, chances are that you will find one that works. This is a great option if your room demands a really big rug. Most manufacturers will make an area rug for you in a custom size. If you go this route, you will end up with exactly what you want. This might seem like a lot of work just to buy a rug, but spending a little extra time and effort at the beginning of the decision-making process will prevent you from having to re-purchase (because believe us, the wrong size rug sticks out like a sore thumb).